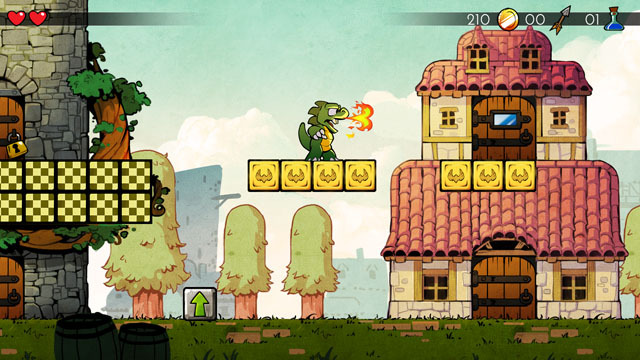 Developer Lizardcube is working on a modern take on the Master System / TG-16 classic Wonder Boy III: The Dragon's Trap. But this new game, entitled Wonder Boy: The Dragon's Trap is far from a simple port; it's a complete redesign of the original shapeshifting action adventure with an HD facelift with a remixed soundtrack and some gorgeous animations. You play the part of Wonder Boy who has been turned into a lizard man by Meka-Dragon... but as he explores Monster Land, he discovers that more transformations await him, allowing him to eventually take on six different forms, including a lion, a hawk, a mouse, and a piranha. Each form has different abilities that allow Wonder Boy to take on enemies and access different parts of the environment. For instance, the mouse can run up walls, the lizard can spit fire, and the hawk can fly. The game is headed to PC via Steam and as yet unannounced consoles (but probably all of the good ones) with a similarly unannounced release date.